The keyboard was announced in September and can already be bought from the official shop of the manufacturer. They launched the keyboard with an exclusive sale, so most online retailers do not have the keyboard in their assortment yet. But it’s said, that it should be available on all partner stores very soon. The price of the keyboard is about $ 150. 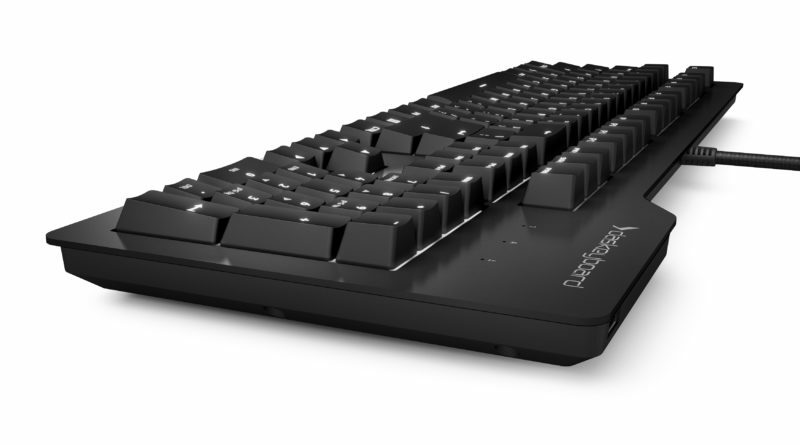 What to expect from Das Keyboard Prime 13? So, what kind of keyboard is the Das Keyboard Prime 13? It is a minimalist mechanical keyboard with white illumination, Cherry MX Switches, an USB Passthrough and an aluminium top panel. Compared to other models from the manufacturer, you therefore get a backlight illumination, but have to pass on features like dedicated media controls. But this sacrifice might be part of the experience, as the manufacturer especially promotes the minimalist approach of the keyboard. We are already curious, how the keyboard will do in the reviews and rankings.